Maintain the cold temperatures within your dedicated ice bin with this Advance Tabco SSC-24 sliding cover. Designed to fit 24" ice bins, this essential item will help minimize downtime and prevent your ice from melting before it's used in drinks. Stainless steel construction adds extra durability and a polished, professional look. Thank you for your review, Tammie! 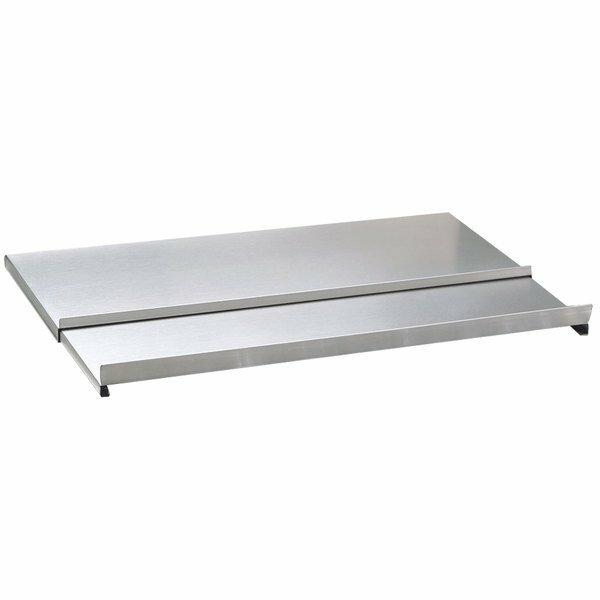 We are sorry this Advance Tabco SSC-24 Stainless Steel Sliding Ice Bin Cover has not worked well for you. A Customer Solutions Representative will contact you soon! Bought this for our ice bin. This bin cover easily fits, and easily slides to allow for the hassle free ice replenishment throughout the day. Is as described.